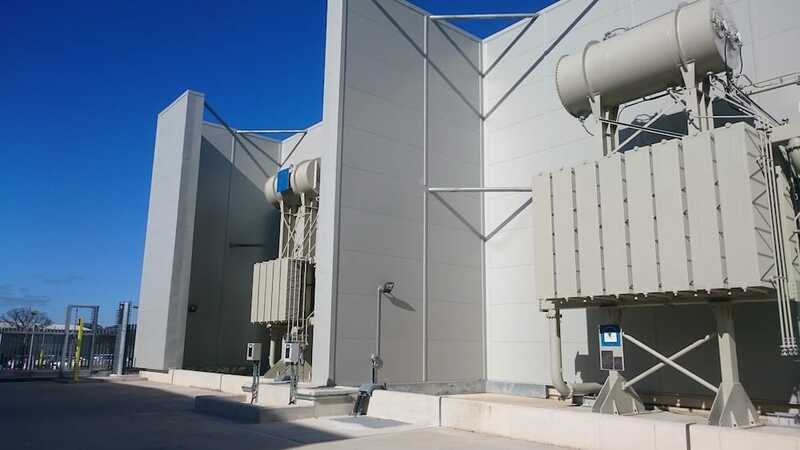 Kimpton developed an industry first in their turnkey acoustic enclosure project for Dong Energy. Each of the twelve enclosures were designed to be four-hour fire resistant with an insertion loss of 35dB at 100Hz one-third octave band. Dong Energy, a leading renewable energy developer, approached Kimpton based on their reputation in the industry to supply high-quality acoustic enclosures. 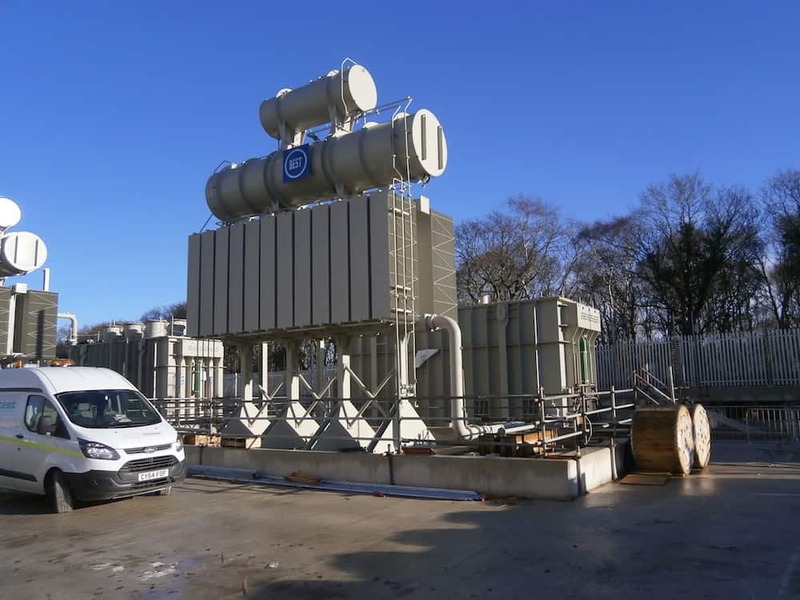 The sub-station developments required the enclosures to house equipment that was part of their off-shore wind farm developments at Race Bank in Norfolk and Burbo Bank in North Wales. The low frequency nuisance noise from high voltage transformers and shunt reactors can frequently present problems for the energy networks. Where sensitive noise receptors (such as dwellings) are nearby, then nuisance noise management is often conditioned as part of a planning decision from the outset. 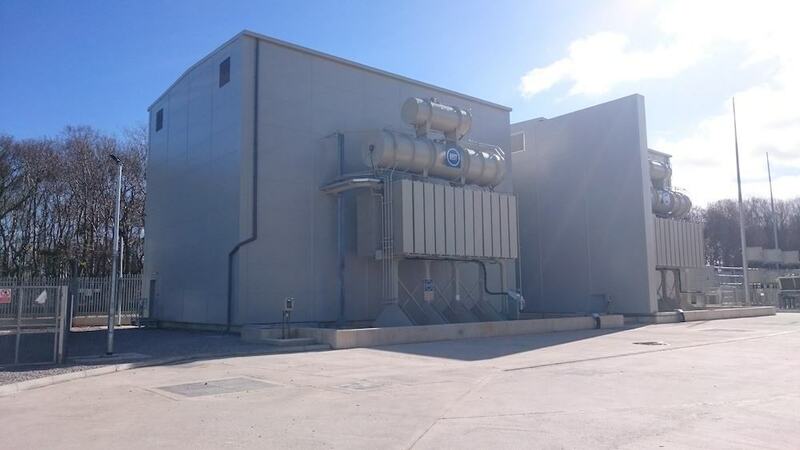 This requires engineering controls to reduce the noise levels of the operational site to acceptable levels, and with low-frequency noise being more difficult to control, specialist acoustic enclosures are required. Fire controls within transformer enclosures often involve the use of a deluge sprinkler system which will trigger in the case of a fire. In this case however, Dong Energy took a different approach. Instead, their fire strategy required the enclosure to provide a 4-hour fire resistance to contain a fire from within, and externally screen key equipment. Being the first of its kind on this scale in Europe, this project presented unique challenges to our design team. Every interface between structural, acoustic and fireproof materials needed to be developed in order to maintain the overall integrity of the enclosures. Scaffolding and mobile elevating work platforms were utilised as the construction progressed to enable the enclosure to be constructed around the pre-installed equipment. The structural steelwork which was fixed in place first needed to be fireproofed to ensure it would maintain its integrity in the case of a fire. This fireproofing varied in thickness up to 60mm depending on the steel section size it had to protect. Next, internal acoustic lining panels were each lifted into place by crane. These would provide both a sound power reduction and reduce the reverberant noise effect within the enclosure itself. Fitting these panels was logistically one of the most challenging parts of the project. Frequent strong winds, and the limited physical space in which the teams had to operate meant that managing this element of the build needed particular attention. Finally, the fireproof outer skin was fixed in place. At 200mm thick these panels not only provided a substantial benefit to the overall acoustic performance of the enclosure, but also acted as the fire wall. Rated to provide a 4-hour fire resistance, these panels required specialist fire sealing and detailing to both provide this level of protection and act as the weatherproof external skin of the enclosure. Kimpton also undertook the small power electrical wiring for lighting and power sockets within the enclosures. 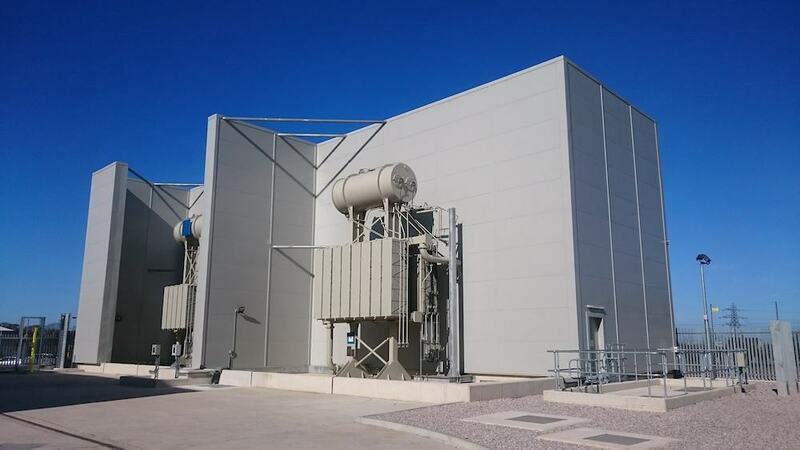 Designed and installed to National Grid’s standards for substations (DH10) the complete enclosures provided by Kimptons were part of a turnkey solution for Dong Energy. This project delivered an industry first for Dong Energy. The transformer enclosures not only exceeded the required acoustic performance, but are also fireproof for up to 4 hours. This allowed the fire strategy to be taken forward without the need for a deluge system, which itself meant significant operational cost savings, as well as extending the lifespan of the acoustic enclosure and the equipment it contains. The project was delivered and commissioned on time in spite of difficulties working on site with live operations and in poor weather conditions due to the exposed nature of the sites. The aesthetically pleasing enclosures fit well within their surroundings and by incorporating the external fire break screens as an integral part of the enclosure design, the finished construction at Burbo Bank in particular has a very contemporary look! If you have a project or an interest in one of our services, please complete our quick enquiry form and one of our team members will be in touch.